Although less well known than S.S. Van Dine, Dashiell Hammett, or Raymond Chandler, Clyde B. Clason published ten books between 1936 and 1941. 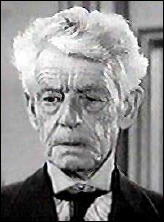 An advertising copy writer and editor, Clason was born in Denver, Colorado in 1903. Little is known of his personal life. In fact, every reference I found provided the exact same information word-for-word. 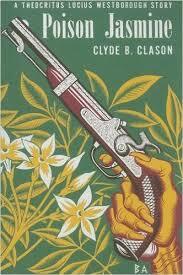 Those of you looking to read about unusual protagonist might enjoy any or all of Clason’s novels. They feature amateur sleuth Theocritus Lucius Westborough, an elderly scholar of the Roman Empire. Westborough is cultured, highly educated, and has an extensive knowledge of art. In each book, Westborough assists the police, stereo-typed as good natured, honest, and a bit “bumbly.” The stories themselves contain intricate plots, most of which are locked-room mysteries. Most of the crimes take place in high-end, museum-like homes which are described in great detail. A reminder that novelists have an opportunity to edify and influence their readers through well-crafted, entertaining story-telling. What authors have you read who weave social causes into their writing?